John Tegmeyer is an internationally acclaimed clarinetist and composer whose music explores a multitude of genres while continuing the traditions of classical and jazz. A native of New Mexico, Tegmeyer’s interest in music began at a very early age and was fostered through the guidance of several influential teachers on piano, then clarinet, and later saxophone. 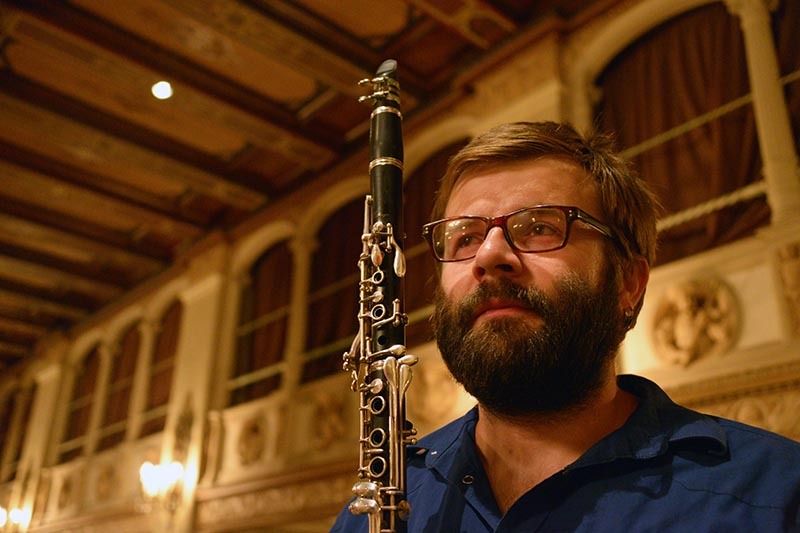 After receiving his bachelor’s degree in clarinet performance from West Texas A&M University, Tegmeyer moved to Los Angeles where he began his professional career as a freelance musician and composer and has been in high demand ever since. A formidable jazz improviser with a classical edge, John has performed and recorded with a wide range of noted performers and ensembles including Justo Almario, Katisse Buckingham, Jimmy Branly, Ron Feuer, William Galison, Larry Koonse, Edwin Livingston, the Nick Mancini Collective, Carla Jamie Perez, Lyman Medeiros, Bryan Pezzone, Prince, Carol Robbins and Otmaro Ruiz.